Online Application Details for Sainik School Korukonda Recruitment of 2 Lower Division Clerk is given below. Candidate's minimum education qualification for the Vacancies in Sainik School Korukonda should be 10th Passed. Typing & Proficiency in computers, MS Office. 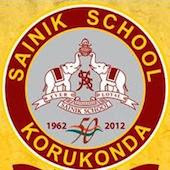 Selection for the post of Lower Division Clerk for job openings in Sainik School Korukonda is based on Personal Interview.